Let’s face it, selling your home can be pretty difficult, and even if you do find a willing buyer, who knows if they can actually obtain financing to purchase it. In a buyer’s market, sellers often entice buyers with special concessions such as seller paid closing costs and seller carryback financing. Seller carryback financing is basically when a seller acts as the bank or lender and carries a second mortgage on the subject property, which the buyer pays down each month along with their first mortgage. It may also be referred to as owner financing or seller financing. Not only is it offered as a means to getting the home sold, but often it’s necessary to get the deal done if conventional banks and lenders won’t offer the total amount of financing needed. For example, if a borrower only has a 5% down payment, but the bank requires 10% down, they could get that additional five percent from the home seller. By offering seller carryback financing, more prospective borrowers will be able to qualify to buy your home. It also makes your home more attractive to buyers, and can boost the sales price of your home as well. In addition to that, you’ll be earning interest each month on that loan as opposed to a straight cash sale. The idea behind it is that if you believe in the value of your home and feel the buyer will make the mortgage payments without fail, it can be a good investment and a means to facilitate the sale of your home. In tough times, it may make of break the sale of your home as sellers shop around for the best terms, especially when conventional lenders offer less than 100% mortgage financing. The mortgage rate on a seller carryback is determined by the buyer and seller, and takes into account the amount of down payment and the credit profile of the buyer. Obviously, a home buyer with poor credit will be subject to a much higher mortgage rate than a borrower with a solid credit history. The interest rate may range from 8-15% on a seller carryback, and the terms can vary just like a typical lender-based loan, ranging from an adjustable-rate to a fixed mortgage product. It is almost always going to be higher than a market-based interest rate because it is assumed that a seller carryback is only being offered because no other bank or lender will offer the same financing terms. The structure of a seller carryback can vary based on what is negotiated between buyer and seller. Generally, a buyer will get an 80% first mortgage with a large bank or mortgage lender, put 10% down and carryback the remaining 10% with the seller. Sometimes the seller carryback will only be 5% or potentially up to 20% of the asking price. Keep in mind that many home loan lenders don’t allow seller carryback financing, so it’s advisable to discuss your intentions with the mortgage broker or loan officer handling your deal first. They may also restrict the type of financing you provide, or cap the interest rate at a certain percentage to ensure it isn’t predatory. Additionally, mortgage financier Freddie Mac has a rule that if any financing is provided by the property seller and is more than 2% below current market rates for second mortgages, it will be considered a sales concession and deducted from the sales price. In other words, the interest rate you offer to the seller will probably have to be just right to suit all parties involved. If you are a seller thinking about offering carryback financing, note that in the event of a foreclosure, you are the last party to be paid. The first mortgage always gets paid off first, and if little or no money remains after that, you may end up with a big loss. Ask the buyer to give you permission to show you their loan approval and their credit report so you can make an informed decision before you put it in writing. And always create a formal document that details the interest rate, loan amount, terms, and have the paperwork notarized and handled by an escrow or title company. Note: Seller carryback financing may also be referred to as a purchase money mortgage. I gave a carryback loan to the purchaser of my mobile home. Am I responsible for providing a 1098 for him to claim interest on his loan from me for tax purposes? Can he deduct the interest on this type of loan? Sounds like a question for your accountant or tax preparer. Mike, if the buyer has a conventional loan for 80% of the agreed upon price, can the seller “owner finance” with a carryback loan for the remaining 20%? Can the note be sold to someone else by Seller on a Seller Carry Back loan without me agreeing to it? Is this legal and can be executed ??? Might be a question for a real estate attorney. Reasoning: In the case of default, all claims to a property are dealt with in chronological order (date recorded with the county). 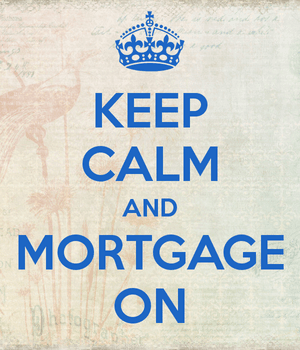 So a 1st mortgage gets dealt with before your ‘2nd mortgage’ (seller carryback). So the bank gets priority. You didn’t really think the bank was just going to be $h1t out of luck did you…? Hi Mr Robertson- As you noted above that in most cases a carry back interest would be higher but in my real Estate coarse study the answer to..